Well, well, well, I just found out something interesting. 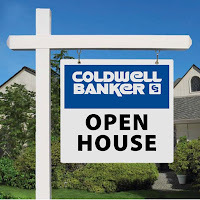 Did you know that our open house information feeds automatically to Zillow, Trulia, and ColdwellBanker.com? Just by adding the information into IQOffice it flows to those sites. Pretty cool, huh? Did you also know that it flows to TulsaOpenHouse.com? (that one may be new to you). I always thought that because we sent our open house information back to the MLS to show up on TulsaOpenHouse.com that it would automatically feed to Realtor.com. NOPE! The only way, for now ;-), to get your open house information to Realtor.com is to login to your account and add it to your listing. Now some of you may be asking, “But Bryan, I’ve never logged into my Realtor.com account and don’t know how to do that. Can you help me with that?”. Well, of course I can. I am the Tool Man and this is Tool Time so here we go. Put in your password (if you don’t know it, click on the Forgot Password Link, If you don’t have an account, click on the Sign Up Here Link – only if you are new to real estate). Select the listing you want to enter the Open House info for and click “Edit”. Select the Time and Date and click Save. Now that wasn’t all that bad was it? We are working on a way for us to send this information directly to Realtor.com without you having to go through this step, but for now, you’ll need to do this. Hope this helps and don’t forget to comment on this post if you like it, hate it, or just want to sound off. So I’ve been asked a number of times, “How do I get my contacts from my iPhone into Excel so I can put them in IQOffice?” Well, here is the answer. I even had someone try it and verify(since I don’t use a PC anymore). To be fair, I did not come up with this information, but found it on TrickyWays.com website (Click Here to see the original website). If you are going to change your iPhone or just want to take backup of your iPhone contacts, here is a simple way to export your iPhone contacts as csv file in Windows 7 and you can open this csv file in Excel. You just need your iPhone and iTunes running in Windows7. Windows XP users here. Download and install iTunes, after installation Run iTunes. Connect your iPhone with computer using data cable. On the safe side backup your device first, Right-click on your device and select “Back Up” (in-case of any problem with iPhone Contacts you can restore your device later). You will see this message if iPhone contacts exported as csv file successfully, hit “OK” button. Now you can use this csv file to import iPhone contacts in any other application or device or you can open this file in Excel to view all iPhone contacts. Did you know that you have a profile page on ColdwellBanker.com? Yep, that’s right. It’s one of those perks you get for being BLUE. Here’s what you do. Go to http://cbworks.coldwellbanker.com/ and login. If you don’t know what your login is, then you follow these steps. On the CBWorks login page, it will say “First Time Users, Click here for Access”. CLICK THERE. It will ask you for your email address. This will be your company email address. The CBWorks system will then email you your password for the system. Follow the steps in the email to get logged in to the system. If it asks for your CREST ID, contact accounting and they can get that for you. Once you get logged into CBWorks, you will see your name on the left. Click on your name, this will take you to the ColdwellBanker.com/secure site where you enter your profile information. On the left hand side, click on “Profile” and then on “Edit Profile”. There are some requirements that you have to have in your profile in order for it to show up. (1) You MUST click on “Media” and upload your photo. (2) You must have 6 bullet points combined about you in “General”, “Credentials”, or “Qualifications” area. The rest you can put in what you want. If there is any information that is wrong that you can’t change, send an email to czumwalde@cbtulsa.com and we will get it fixed for you (She’s going to love me for that one). Once your profile is setup, it takes about 24hours to be active on the site. Check back the next day and let me know if you have any issues. Remember, if you want the leads from your listings to go directly to YOU on ColdwellBanker.com, then you have to have your profile page setup. Check out some of the articles that you can pull from HouseLogic.com/members. It’s FREE if you are a Realtor. You can post these in your BLOG, share them on Social Media, download them for a newsletter, etc… It’s a pretty nice service that NAR provides. I just received my latest issue of the “Home Matters” e-newsletter from about 10 different agents that have me on their COI list. It was great, and the best part about it was, I didn’t have to do anything and neither did the agents. How cool is that? The newsletter provided me great information on Interior Design, Home Staging, Prepping my home to sell in the Fall, the short sale process explained, and access to all the listings for sale in our MLS. Oh, and all I have to do to contact the agent that sent me the email is either click on their email, or pick up the phone and call them. The information and picture of the agent is right there in front of me. So, if you don’t have your contacts loaded into IQOffice, get on it. They automatically feed to the RREIN system and your contacts get the monthly email newsletter from YOU. Make sure you add yourself to your list so you know what they are getting.